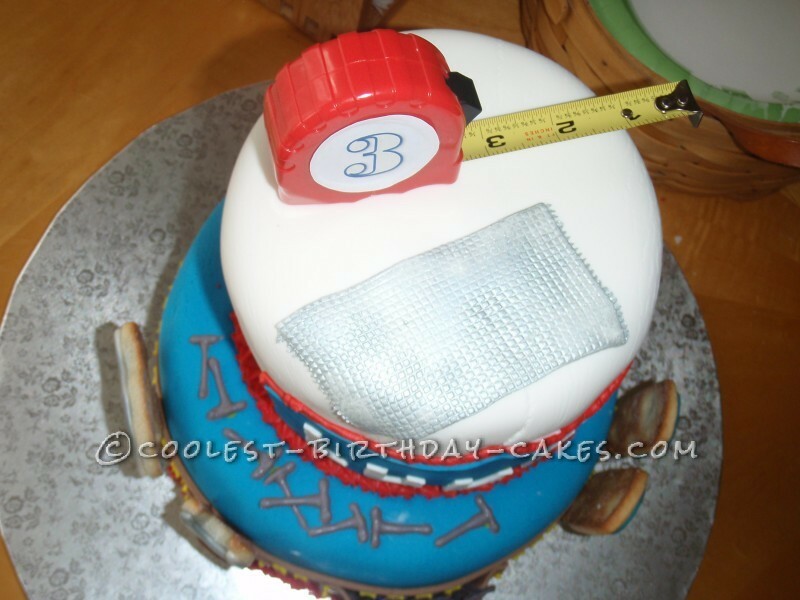 This construction tools birthday cake was made for my nephew’s 3rd birthday. His theme was Lowes (the hardware store). 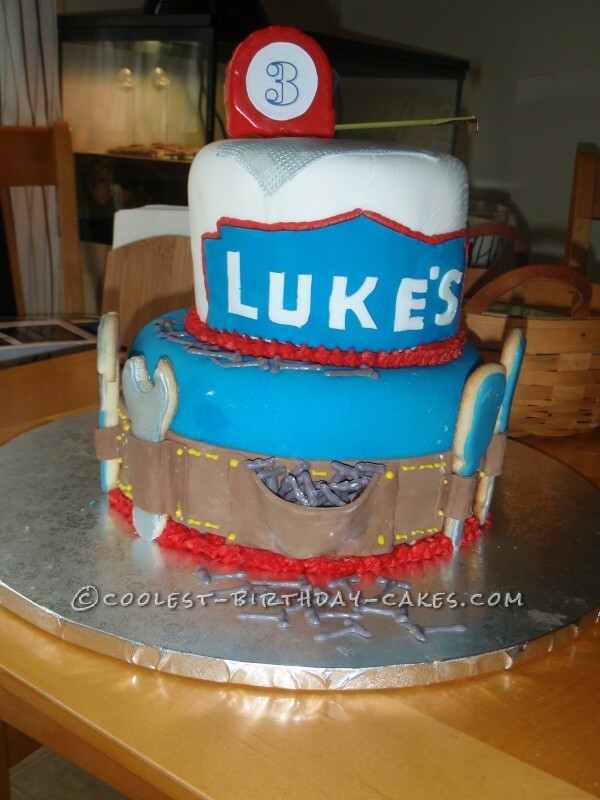 The cake was made out of regular and chocolate pound cakes. The decorations are fondant, except for the tape measure (plastic), the tools (sugar cookie with royal icing) and the nails (chocolate). The borders are red colored butter cream. 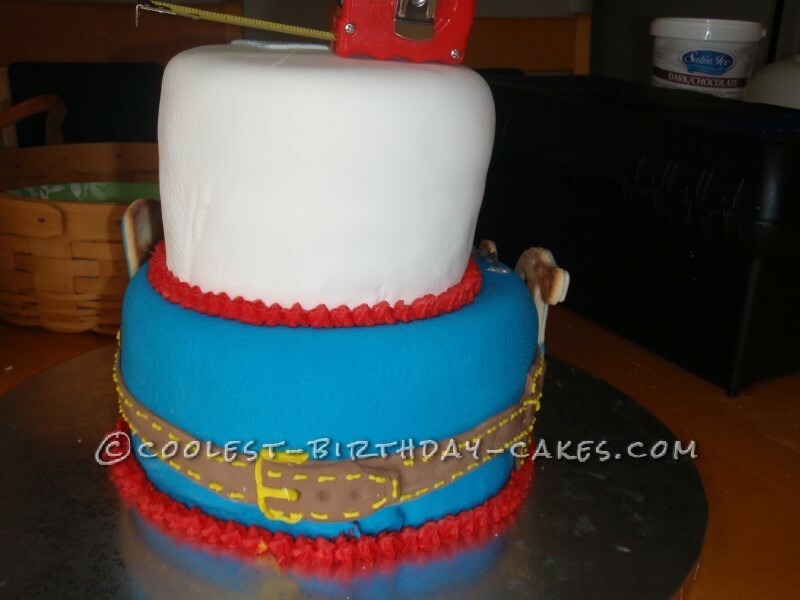 This was the first time I had ever used fondant to cover my cakes. It was a true challenge. They make it look soooo much easier on TV. Rolling it our wasn’t so bad, but transferring it onto the cake without experience left many imperfections. Luckily with a little creative decorating, it was a little difficult to tell where the mistakes were. The tool belt was much easier than I anticipated. I would have to say one of my favorite touches was the duct tape on top. Once I had figured out how I could pull off the duct tape look (silver edible spray paint), I was quite happy with the look of it on the cake. I hope you enjoy what you see. I had a lot of fun, and seeing my family’s face was well worth the frustration of being a novice.